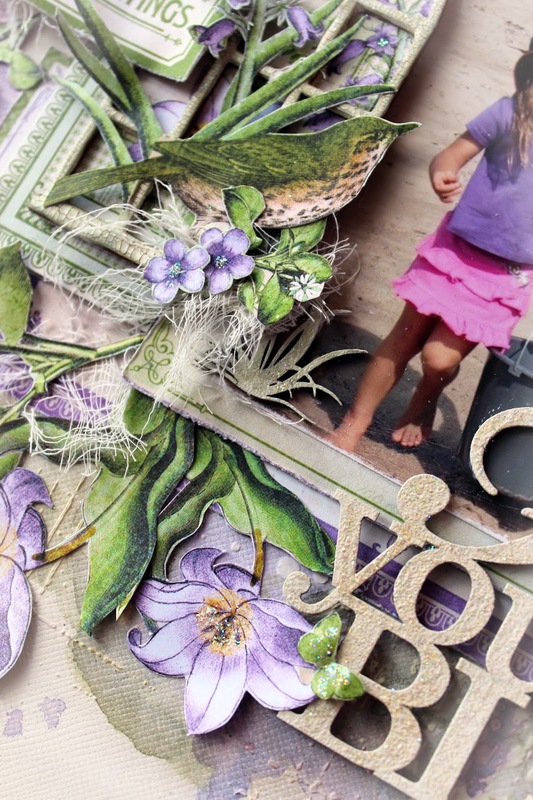 Tina Marie - Forever and Always: "Follow Your Bliss"
Today I am sharing my very first Design Team creation for the Scrapbook Store. This layout that I have created, I feel really reflects my style of scrapping. I am not sure what you would call this....but this is me!! So for those of you who know me will know how much I loooooove to fussy cut.....I find it very relaxing, strangely enough!! And there is certainly enough here to have made me extremely carefree! 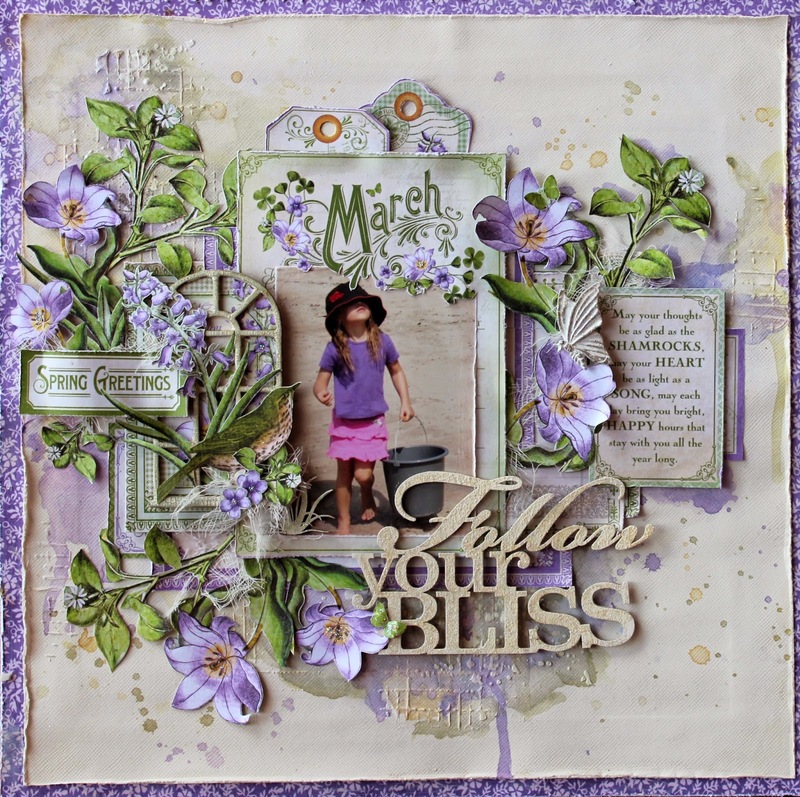 I have titled this layout "Follow Your Bliss". 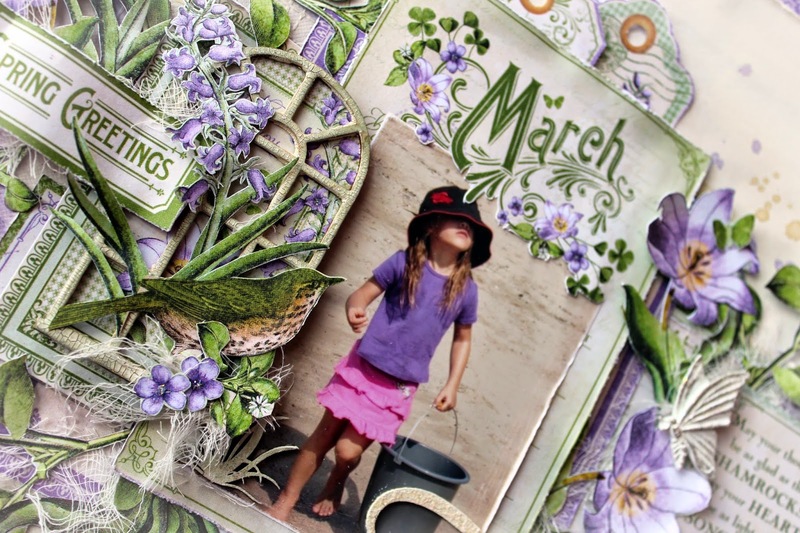 For this layout I have used Graphic 45 "Time to Flourish" collection (March Cut Apart and March Flourish). 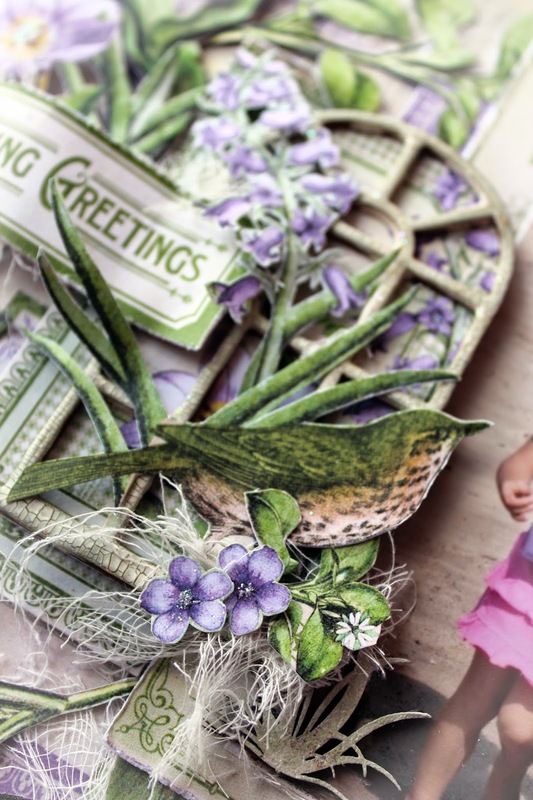 I started off by fussy cutting the March Flourish patterned paper...the whole page. I then cut up the March Cut Apart. I created a bordered background with a second piece of the March Cut Apart and Cream Cardstock and then created a background of mixed media with gesso, texture paste and a stencil(TCW - Grid Lines). Using Rangers Distress Inks (Dusty Concord and Evergreen Bough) I coloured the base. 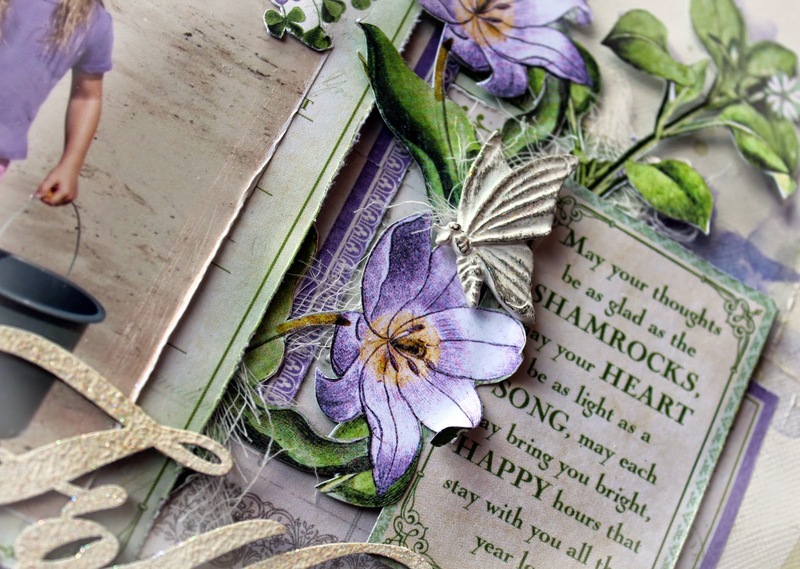 Here you can see the layering of the March Cut Aparts along with the Kaisercraft Wooden Flourish Window which I have crackled and layered with fussy cut pieces from the March Flourish paper. Here you can see some of the background colouring with Distress Inks. And the chipboard title was simply coated with Kaisercraft Antique Cream paint and then swiped with some Star Dust Stickles to make it pop a little. A close-up of the crackled window....loooove this effect. I have coloured this with a little Forest Moss Distress Ink and layered a little cheesecloth to soften the layout. stay with you all the year long. Well I hope you have enjoyed your visit here today. If you keep scrolling you will find a full Materials List for this layout. Remember these goodies can be purchased over at The Scrapbook Store.